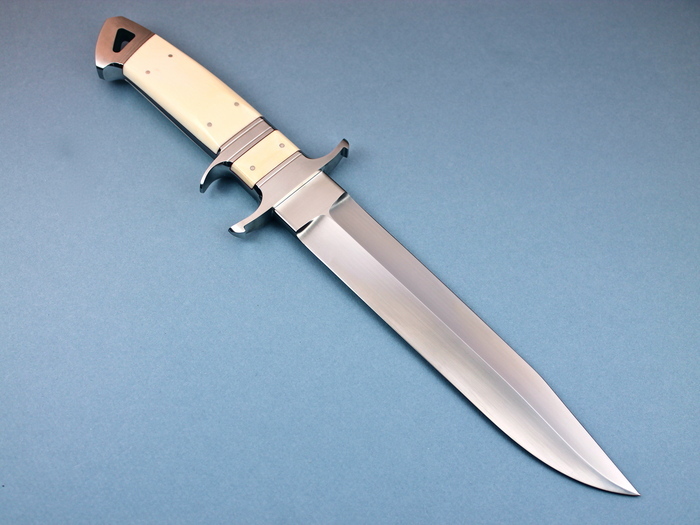 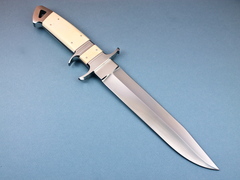 An amazing Big-Bear Sub-Hilt knife by Dietmar Kressler. 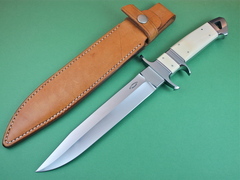 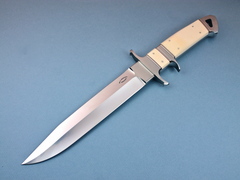 This knife is a full integral as are most of the knives made by Dietmar. 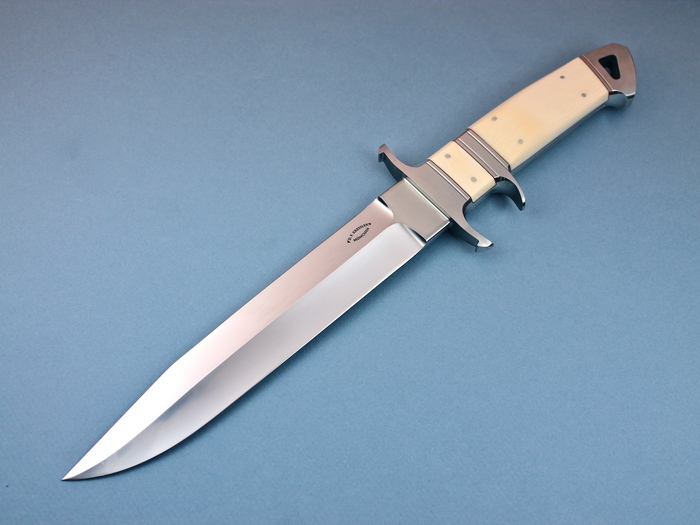 It has beautiful Antique Ivory handles that are held down with 6 small pins. A great knife by arguably the best integral knife maker in the World.